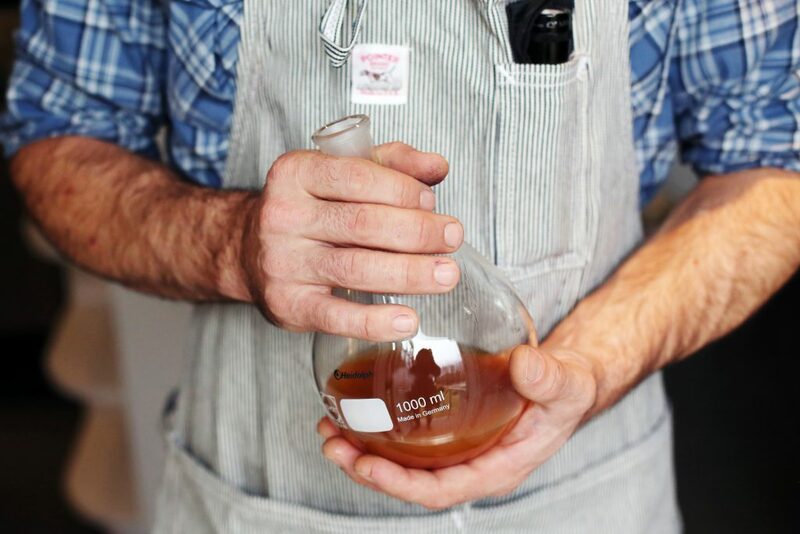 We’ve always got something special brewing in our test kitchen and this month we’re introducing a custom made spirit for Boston’s Ball Square Fine Wines: Von Humboldt’s Apricot & Tamarind Cordial. Ball Square is a specialty spirits store located in Boston that curates an amazing selection of spirits from around the world. They frequently foster single barrel releases with quality producers. One such collaboration was with Buffalo Trace Distillery where they rendered exquisite bottles of liquor from one freshly dumped single barrel. Aside from an exemplary barrel from the fine coopers and whiskey folks of the south, Ball Square was unclear of the fate of the oaken barrel and its hidden flavors. That is when they reached out to Tamworth Distilling, as we were becoming known for our infusion works. We took the barrel and added our base spirit to extract the Buffalo Trace essence that was still locked in the wood grain. 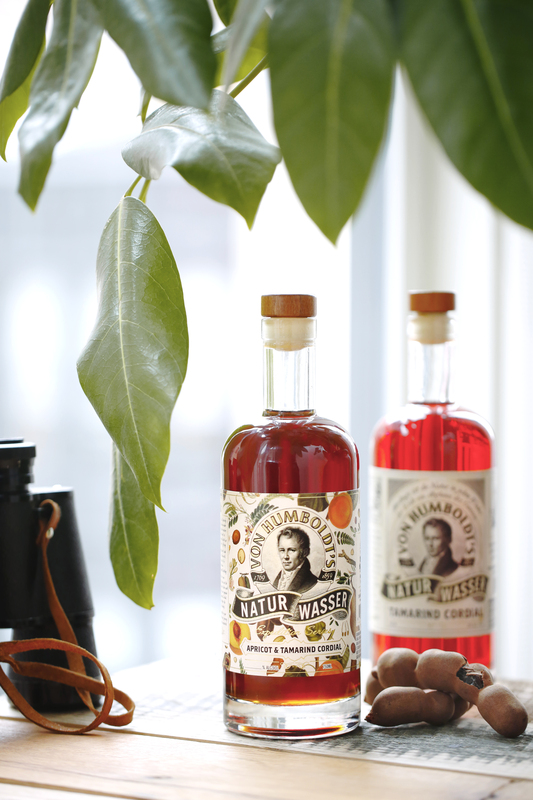 We then used that base for an exclusive Alexander Von Humboldt Nature Wasser, featuring the much loved Tamarind with the addition of apricot to heighten the fruit nose of Buffalo Trace Whiskey. On November 26th, 2008 Buffalo Trace filled a barrel with their own Bourbon Mash. The empty barrel arrived April in Tamworth New Hampshire in 2017, when we filled it with our neutral grain spirit. This was left to rest in a barrel, allowing us to pick up the top notes of the bourbon, with esters of peach and pear aromas. This worked perfectly in combination with tart tamarind and apricot fruits, bolstering in fruity aromas. This approach is similar to Noyaux, where kernels from stone fruit are used to flavor brandy. Tamworth Distilling just happens to keep the pulp and pods of fruit to aid in the complexity of the spirit. To learn more about Von Humboldt’s CLICK HERE. The mischievous North American Grey Jay goes by many names; also known as a “Camp Robber” or “Whiskeyjack”, from the Algonquin WISAKADJAK. 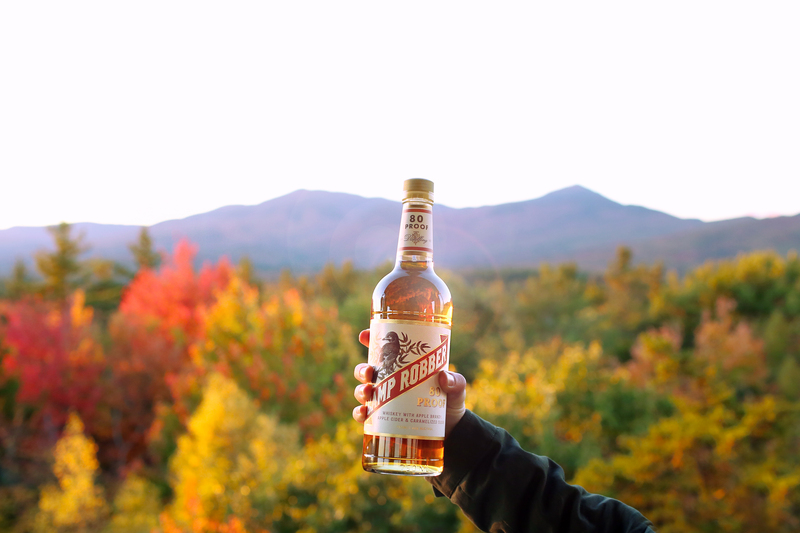 As elusive as this bird may be, our Camp Robber Whiskeyjack is touching down all over in the state of New Hampshire. If you have yet to try it, Camp Robber is made from organic corn and rye, which is then combined with apple brandy and fresh apple cider. The result drinks like both a whiskey and an American applejack, with sweetness from the bourbon, acidity from the cider, and a spicy backbone from the rye supporting the light, floral brandy. Interested in tasting Camp Robber? Visit a New Hampshire Liquor & Wine Outlets where we’ll be hosting tastings on the dates below, or visit any of these bars and restaurants serving our beloved Whiskeyjack. Pommeau is a traditionally French endeavor, specifically in the Normandy and Brittany regions. There, fresh apple cider is fermented and distilled, then aged to be granted a heavily governed by the AOC (and highly regarded) nomenclature of Calvados. A select amount of this apple brandy product becomes the alcoholic base and preservative for fresh (sweet) cider to be aged in barrels. This unique spirit, called Pommeau, lives in between the bold and higher proof Calvados and the sweet and tart cider it was born. Now this golden liquid mellowed in a barrel, and touched with wood flavors. The alcohol generally stays around 16-18 %, which saves the spirit from spoilage and off flavors but doesn’t overwhelm the sweet cider or blot out the fresh juice aromas.The result is closer to an aperitif, cordial or after-dinner wine. Generally sipped neat, chilled or even room temperature to allow for the full evolution on aromas and flavors. The New England approach to Pommeau allows us to use our spent bourbon barrel as the vessel. We married together the same fresh apple cider that is grown and pressed right here in NH with the distillate of its ferment from the seasons. The two are then stored in 53 gallon oak barrels in our barrel house. We checked on the progress and after over a year of harmonizing it was bottled. The result is a vinous-like spirit, with the aroma of an orchard’s harvest and honey. Sweet and slightly warm on the nose, with a crisp tartness of the fruit. The taste that follows is peaked with brandy with a wine like mouthfeel and some nutty components from the barrel and its previous boubon occupant. Vanilla and caramel accompany flavors on the mid-palate. Warmth from the brandy alludes to pie. The lower proof allows for a more sessionable spirit, with little or no doctoring with mixology. Or, the fruity spirit could enliven a classic cocktail recipe: a welterweight Jack Rose (with lemon and grenadine) or a low-key Old Fashioned. Tamworth Garden Pommeau is available now at Tamworth Distilling & Mercantile. The apple doesn’t fall far from the tree here at Tamworth Distilling. In fact, they all go right into our spirits! We’re lucky to have an array of wild apples grown in Tamworth, and surrounding communities. 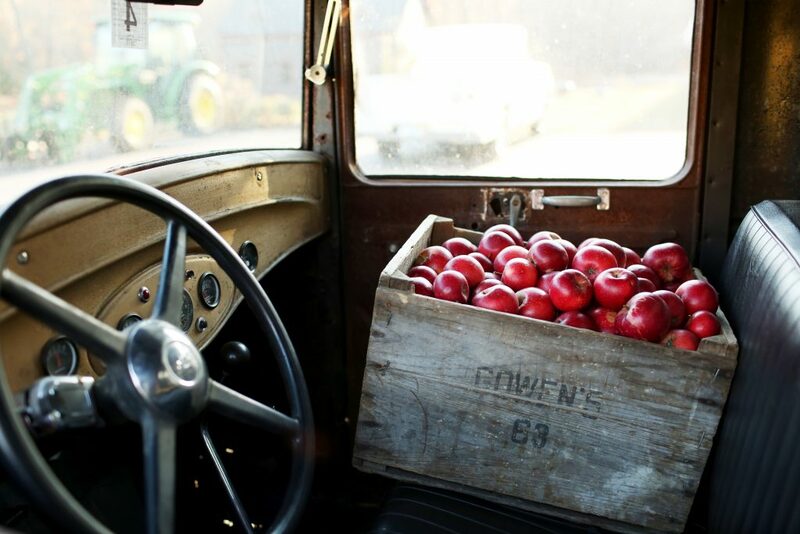 Over the years we have taken our local apple harvest and distilled apple brandy, applejack, eau de vie, and even collaborated with local cidery Dube & Robinson to create a fresh pressed cider, aged in our recycled Tamworth 1766 Rye Whiskey barrels. There’s one more apple spirit to be had, but before we get into that, lets appreciate the process. 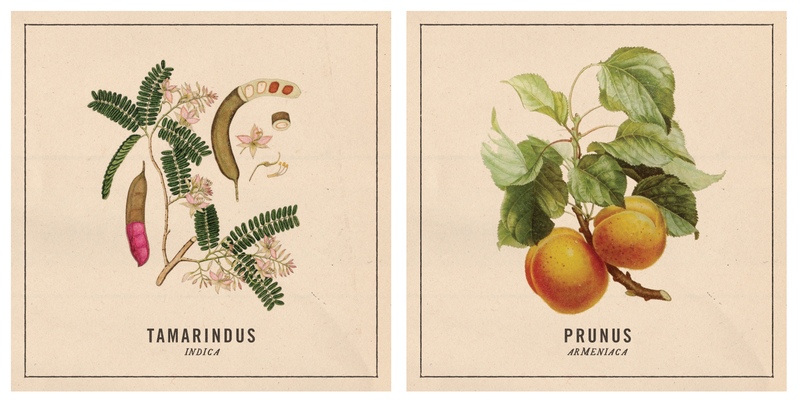 Here’s a little background on how we’ve created a medley of apple libations. First we’ll start with one of the nation’s most foundational spirits: Apple brandy! 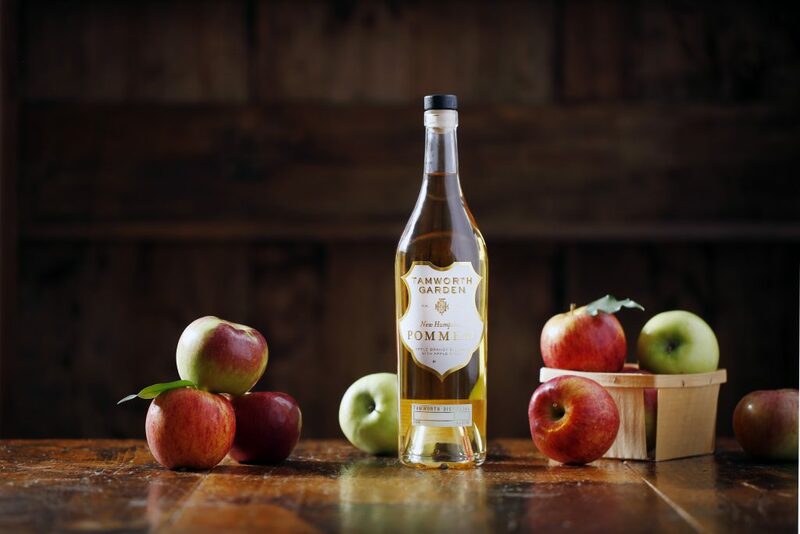 The history of apple brandy stretches all the way back to the 1600s, when colonists were cultivating apple orchards throughout the Northeast to produce cider. Soon, the cider was left in barrels overnight which caused it to freeze, a method revered to as “jacking” or freeze distillation. This allowed for the separation of water and alcohol resulting in a concentrated apple spirit higher in proof. Speaking of historical spirits, that brings us to Cherry Bounce! Dating back to the 17th century, Cherry Bounce was a favorite drink of George Washington, who enjoyed the brandy-based recipe made by his wife Martha. He was known to take a canteen full of Cherry Bounce for jaunts with his prized dog, Sweetlips. Starting with Martha’s original recipe, we adapted our own interpretation to make something that was true to history yet truly unique. Our distillers adapted Sweet Lips has a base of house made rye whiskey, stored in oak with Montmorency cherries, apple brandy and neutral spirits for infusing. Sweet Lips Cherry Bounce is a liqueur full of luscious cherry flavor, warm spice, and a deep smoky base with notes of leather and tobacco. One of the purest apple spirits is unaged apple brandy, or Eau de vie, which is produced by means of fermentation and double distillation. The result is a clear, delicately flavored apple spirit. Tamworth Garden Unaged Apple Brandy began its life deep into apple cider pressing season. After putting away several barrels of apple brandy for aging, the distillers decided to keep one barrel for immediate release. 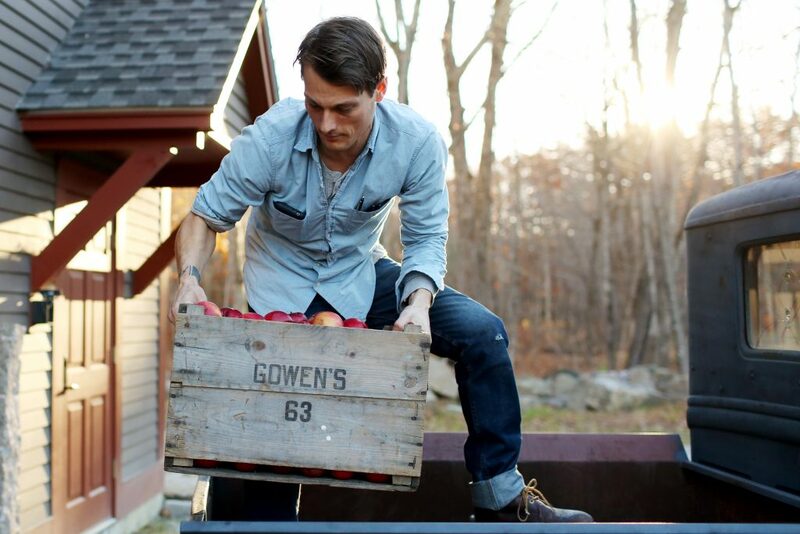 This unaged apple brandy is a true essence of New Hampshire apples. Rich and full-bodied with the sweetness of Macintosh and Cortland apples, this particular blend lends a complexity as well as a slight tartness on the nose. Each summer we release a limited run of Barnstormer’s Punch, which is another apple based concoction. It has a base of raw apple cider from a local New Hampshire Orchard, which is fortified with unaged apple brandy, and infused with whole cherries and house-made bitters. The result is a ready-to-drink bottled cocktail, with sweeter flavors of kola, cider, and sour cherries balanced by wild cherry bark and gentian root. The finish is vivacious, with brandy aromatics and a touch of black peppercorn and almond. Moving on to whiskeyjack, ours is a combination of both whiskey and apple spirits. 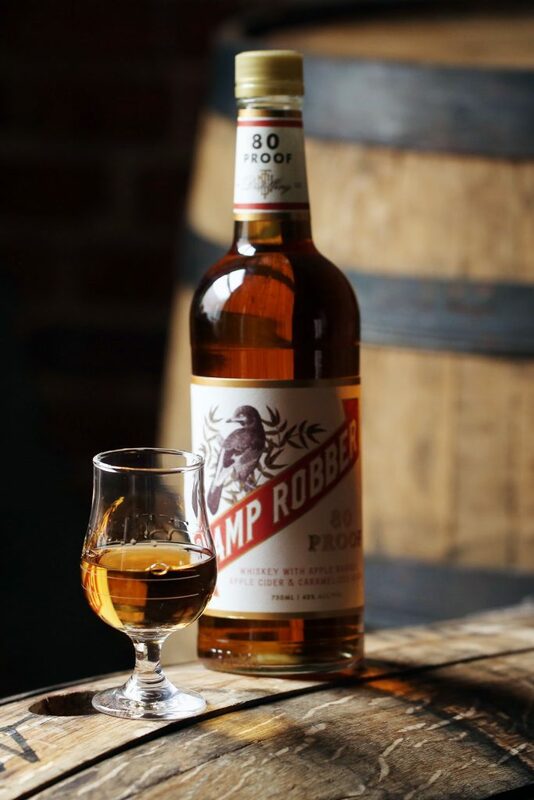 Tamworth Distilling’s Camp Robber Whiskeyjack is made from a “stolen” still-aging 16-month bourbon made from organic corn and rye, apple brandy and fresh apple cider. The result drinks like both a whiskey and an American applejack, with sweetness from the bourbon, acidity from the cider, and a spicy backbone from the rye supporting the light, floral brandy. When we joined forces to make 1766 Cider with Eric Dube and Will Robinson, we used their handed pick apple cider and repurposed barrels from our coveted Tamworth 1766 Rye Whiskey. When making apple cider, it’s important to use apples with more acidity and tannins found in “eating” varieties, which are not very palatable if eaten on their own, but they make do delicious cider. Cider is a natural liquid that is obtained from the pressing of a finely ground apples, and under the proper conditions, it undergoes a natural fermentation process. 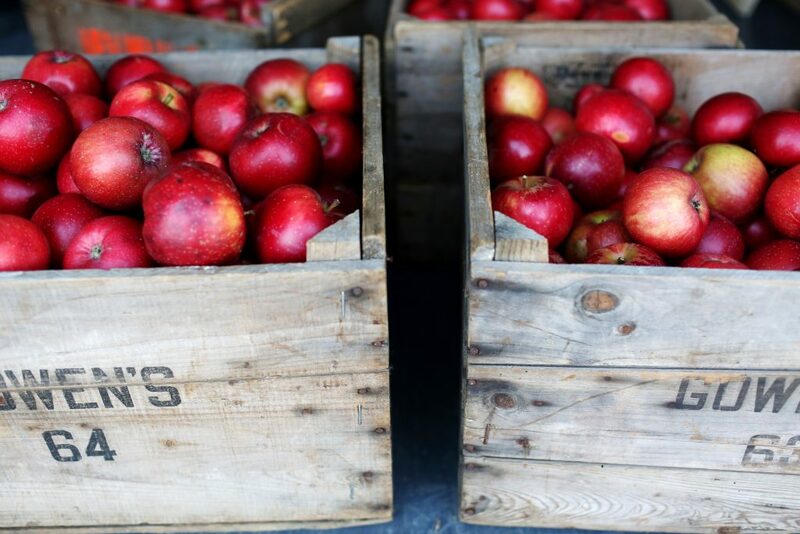 Since yeasts are already present in apples, they converts the apple sugars into ethyl alcohol and carbon dioxide, which yields a sweet and tart alcoholic juice. Lastly we have our latest spirit: Tamworth Garden Pommeau! Pommeau is a traditionally French endeavor, where fresh apple cider is fermented and distilled, then aged. A select amount of this apple brandy product becomes the alcoholic base and preservative for fresh cider to be aged in barrels. The result is closer to an aperitif, cordial or after-dinner wine. Generally sipped neat, chilled or even room temperature to allow for the full evolution on aromas and flavors. You can enjoy this unique blend of aged cider and apple brandy by picking up a bottle at Tamworth Distilling on Friday November 3rd. With all of that, we have just one question for you – How do you like them apples?